Radiofarda – The past decade in Iran has witnessed a surge in the number of startups, larger Internet companies, and digital-service providers. RFL/RE – Iran said it conducted a satellite launch but that the rocket failed to reach orbit. PayvandNews – Hossein Baharvand, an eminent Iranian scientist, won The World Academy of Sciences (TWAS) 2019 prize in biology, ISNA news agency reported. Baharvand is a professor at Royan Institute for Stem Cell Biology and Technology. In 2004, he received a Ph.D. in Cell and Developmental Biology from Khwarizmi University. 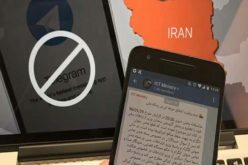 CHRI – Judicial Order Tied to Previously Undeclared Policy of App Usage Level Eight months after Iran blocked the country’s most widely used messaging app, Telegram, a deputy prosecutor has announced a judicial order to also filter Instagram due to what he described as over-usage of the social media app. RFL/RE – A senior Iranian official has said the country is prepared to block Instagram once authorities sign off, a move that would deny 24 million users — including Supreme Leader Ayatollah Ali Khamenei and President Hassan Rohani — access to the popular social-media platform. Radiofarda – Iran’s Deputy Minister of Science, Research and Technology for educational affairs says 20,000 Ph.D. holders in Iran are unemployed and jobless. Radiofarda – According to a cyber security research lab Certfa Iran backed hackers targeted U.S. government officials, think-tank employees and nuclear scientists around the world. CHRI – Twitter Banned in Iran Since 2009 But Many Officials Are Active Users Iranians from across the political spectrum responded to the new presence on Twitter by Oil Minister Bijan Zanganeh by urging the government to lift the nine-year ban on the social media network.